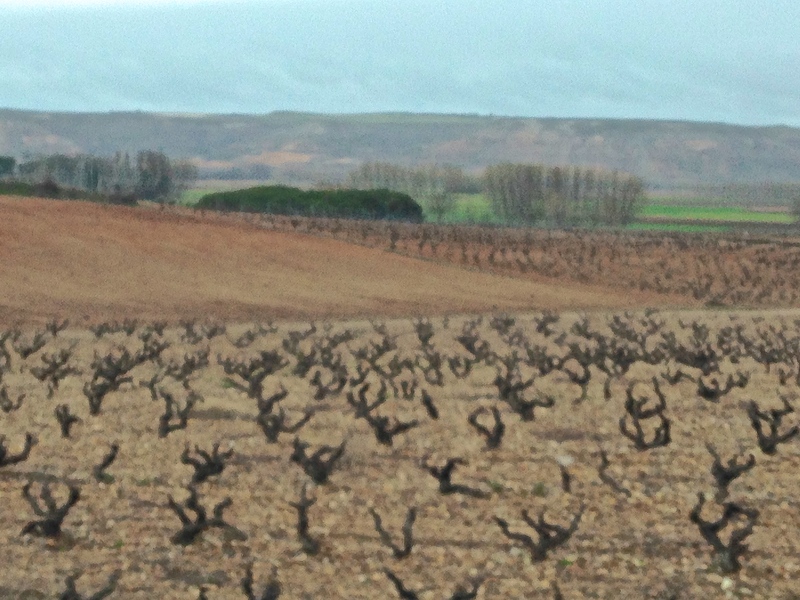 When U.S. wine lovers think of Spain, they immediately think “Rioja.” But there’s a new kid on the block, gaining prominence and shelf space as more people discover its robust yet elegant reds. The accolades for the Ribera del Duero continue to grow, and in 2012 it was named wine region of the year by Wine Enthusiast Magazine. Officially founded in 1982, the denomination is fairly new, yet wine has been produced there for thousands of years. Ribera is primarily known for its tempranillo wines. Located north of Madrid, on the northern plateau of the Iberian Peninsula, the region is named for the Duero River, which flows through Ribera and all the way to Portugal, where it is known as the Duoro. Getting to the Ribera takes thoughtful planning. 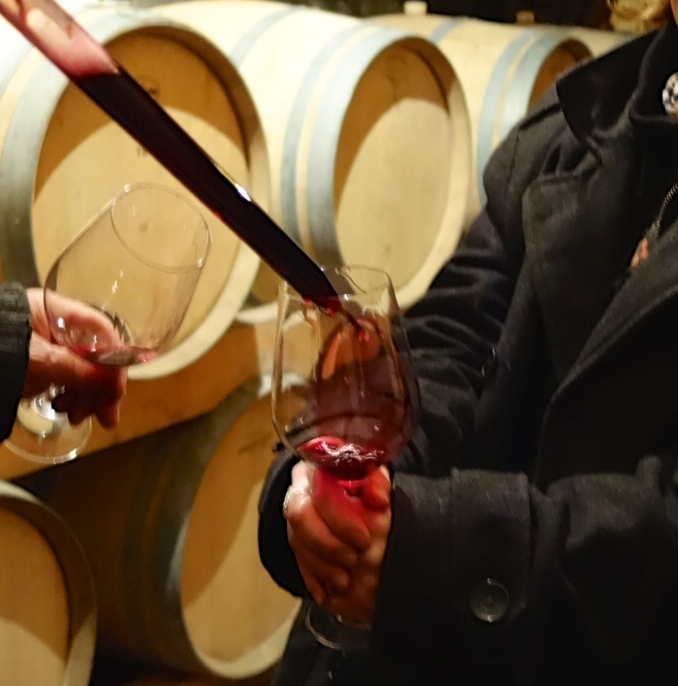 Skim a few travel message boards and it becomes apparent pretty quickly–try as they might, wine tourists have found no perfectly seamless way to get there. From Madrid, you could rent a car, though the drive is around 2 hours, and no one should be driving after having imbibed at a day’s worth of tastings. You could take the Renfe, Spain’s high speed rail, to Campo Grande Station in the city of Vallodolid, the center of the region, from which you could then arrange for a driver or a taxi service to take you around to your selected wineries, but you’re going to have to pay a tidy sum on top of what you already paid for your rail ticket to get the driver to wait at each stop. Your best bet is to either stay at a hotel in the region and enjoy the whole area top to bottom for 2-3 days, or stay in Madrid and take advantage of the private 1-day tours that are available through a handful of well-established, reliable tour companies. Though these may seem fairly pricey at first blush, the cost is really a wise investment. 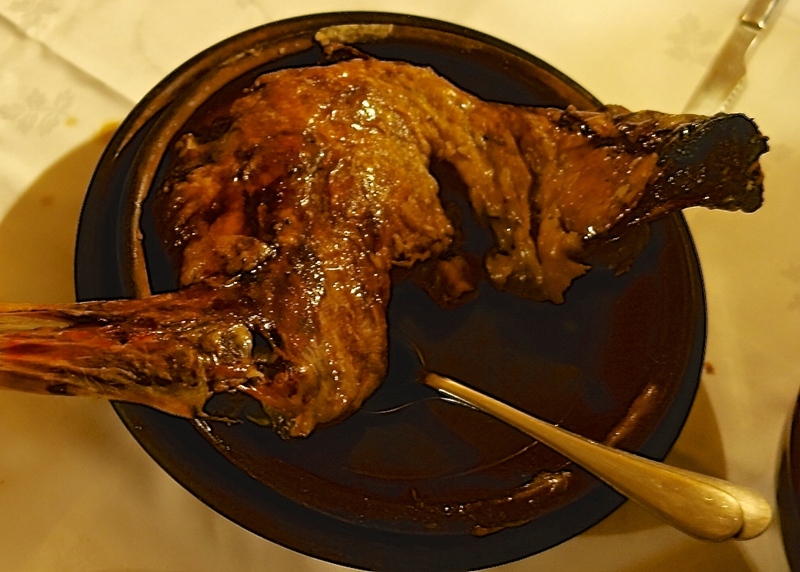 If you decide to go this route, Gourmet Madrid is an excellent choice. 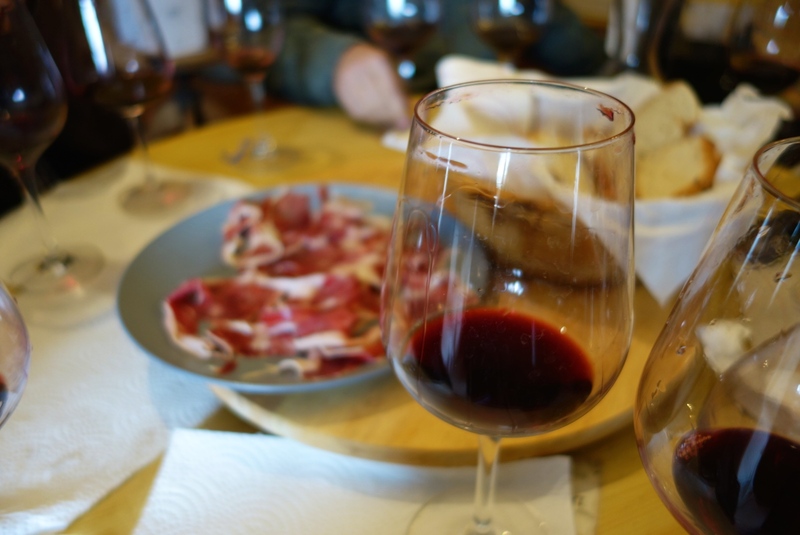 Our package included a private tour of two wineries and a traditional lunch in the region. Our driver and guide, Ismael, arrived promptly at 8:45 in the morning, and we were on our way. The weather was cold and drizzly, atypical for early spring. 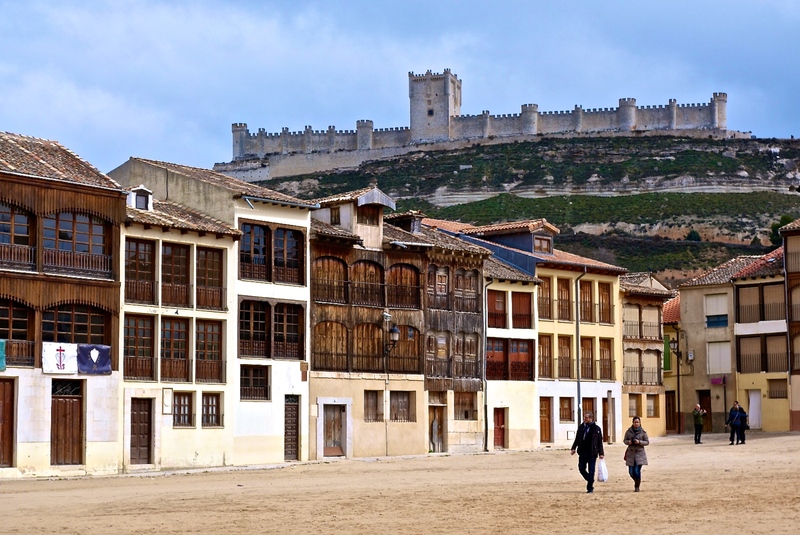 We zipped over the quiet Sunday morning highways toward the province of Valladolid, the heart of Ribera, located in the autonomous community of Castille y Leon. As the sun escaped from the clouds for a moment, we found a parking spot on a side street near our first stop at the Plaza del Coso in the town of Penafiel This community square was established in the 15th century and is a precursor to the town squares found throughout Spain. It is still used regularly for bullfighting events. In fact, the town has an easement for the balconies that surround the sand-covered grounds of the square, so that it can auction off the balconies for viewing the entertainment below, though apparently this is rarely done. In the distance, the historic Castle Penafiel seems to keep watch over the square. 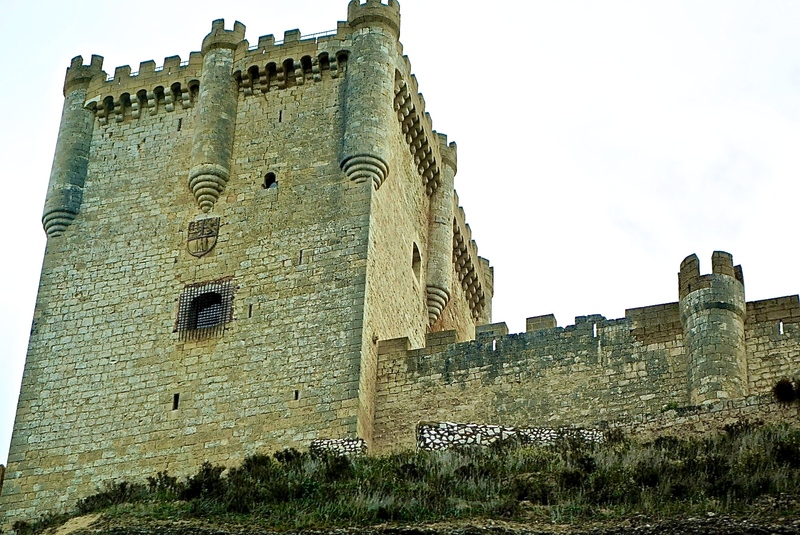 The castle consists of several structures, dating from the 9th through the 15th centuries. It now houses a wine museum, the Museo Provincial del Vino. The hills surrounding the castle are full of small caves that have been used for centuries to ferment and store wine. In nearby Curiel de Duero, were able to visit one of these caves, home to Centum Cadus Winery (latin for “100 barrels”). 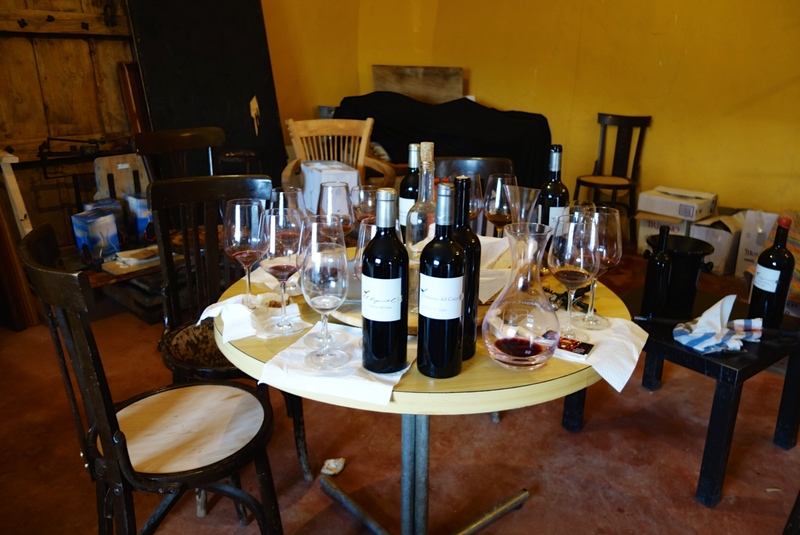 There in his office/workshop/tasting room, we met owner and winemaker Justo Casado Delgado. Delgado, who speaks no English, explained through Ismael that his names mean “just married” and “thin”–and that he is neither of these. He was suffering from a bad cold the day of our tour–a little rumpled, yet dapper in that Euro sort of way, wearing a zip-up wool cardigan and a zingy pair of rectangular eyeglasses, his hair tousled and moussed. 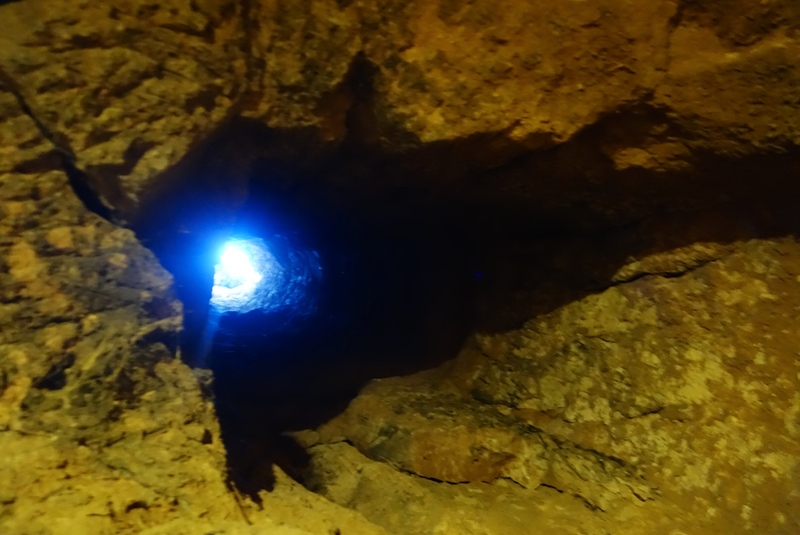 We all shook hands and stood talking for a few minutes in the unheated office before he motioned us through a connecting door into the even colder darkness of the limestone cave. Immediately we were enveloped in the mellow perfume of yeast and oak. Through Ismael, Delgado apologized for the winery being in a bit of disarray. 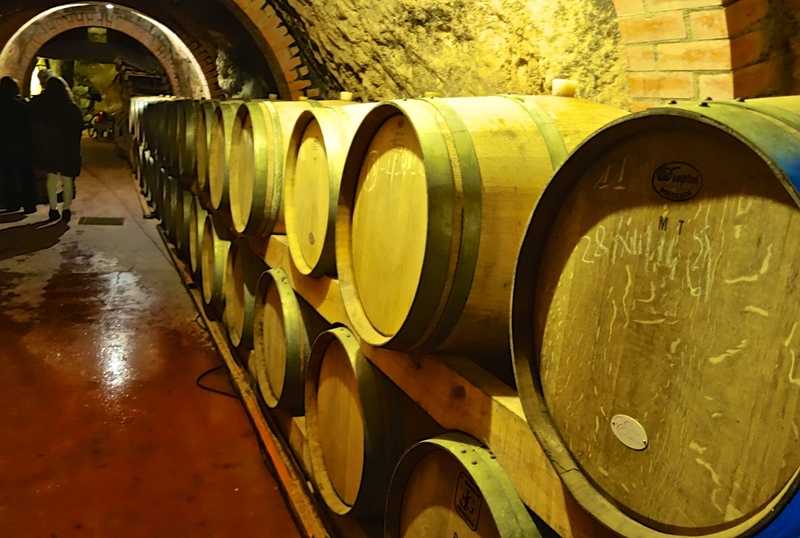 He had just expanded his fermentation room to a whopping 130 barrels, he said with a grin. Because of the high altitude, the caves in this part of Ribera maintain a constant, cold temperature throughout the year. Delgado showed us the stone chimney used to vent the gases that are created by the fermentation process. 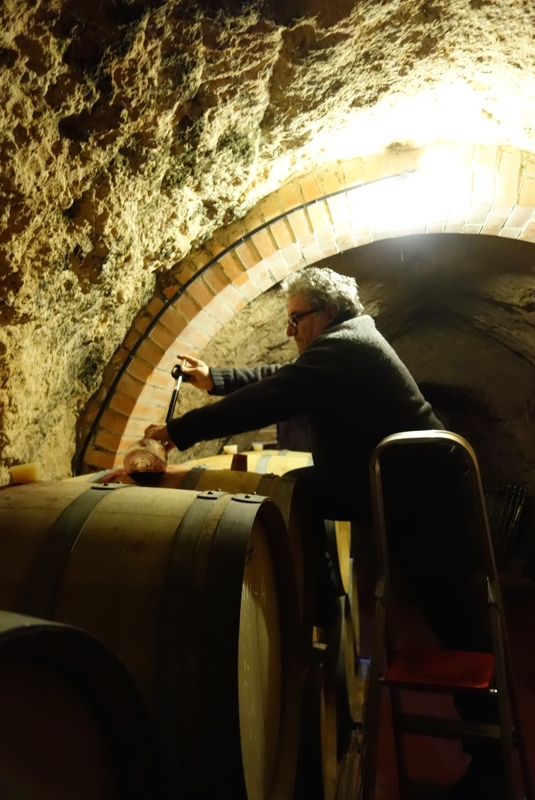 He then dragged a metal chair across the stone floor and, standing perilously on its cushioned seat, he pulled the bung from one of the barrels and drew out a bit of wine for us to sample. Delgado uses French and American oak to age the Tempranillo, a varietal which in Ribera is known as Tinto Fino or Tinto del Pais. He emptied the young wine from the pipette into our glasses. We each took a sip. The cool, blue-red liquid was booming with fruit and vanilla. The pronounced finish was tannic but not unpleasant. Delgado led us back up the stone stairway and into the office area, where we helped him pull together a small table and chairs to create a makeshift tasting area. 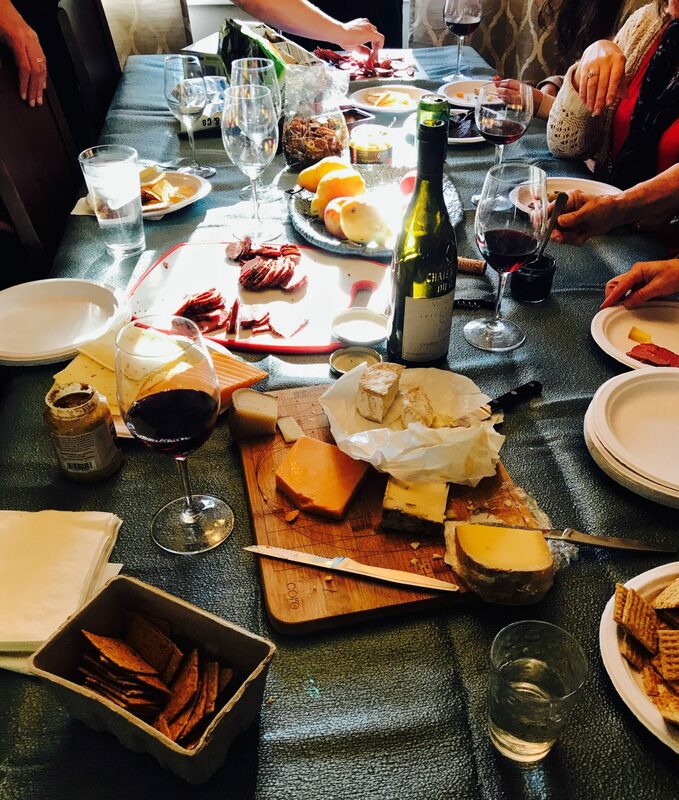 Seemingly from out of nowhere, he produced a basket of rustic Spanish bread and a platter of dry-cured Spanish ham. 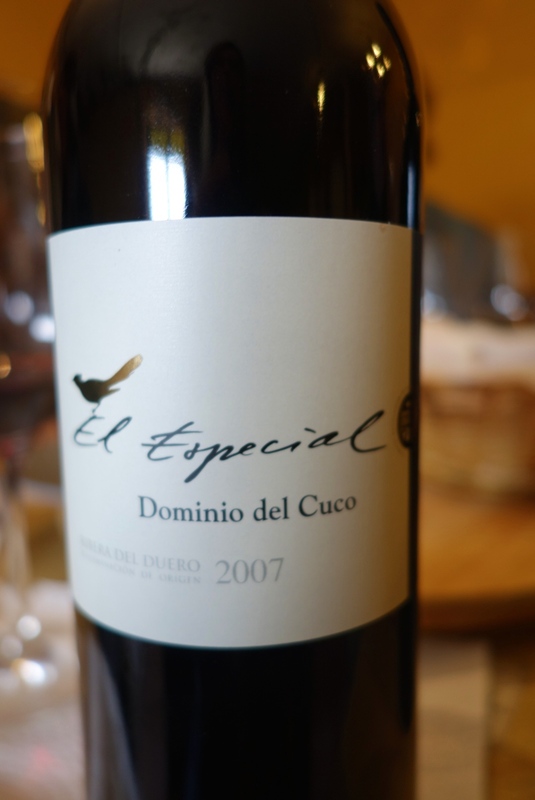 Along with these were several vintages of Dominio del Cuco to sample. He could see that we were shivering from the cold, so being a good host, he hefted an old gas-powered, portable heater and set it close to the table. He flipped the switch and the heater sputtered to life. I savored a bite of the melt-in-your-mouth jamon and prayed there would be no need to rustle up a fire extinguisher. After we were all comfortable, Delgado poured a 2012 Dominio del Cuco. He swirled his glass a bit and peered deeply into its scarlet contents. Then he squinted off into the distance and began to tell his story as Ismael translated. From what I could piece together, Delgado is a former musician (Was it flamenco?). He traveled all over the world performing. But when he reached his forties, he decided to call it quits. Now he occupies himself by writing haiku and making the best, most personal wines he knows how. If the label “auteur winery” could be affixed to any place, it would be this one. For Delgado, his wines are his music and his poetry. We sampled a few others, including his 2007 El Especial. 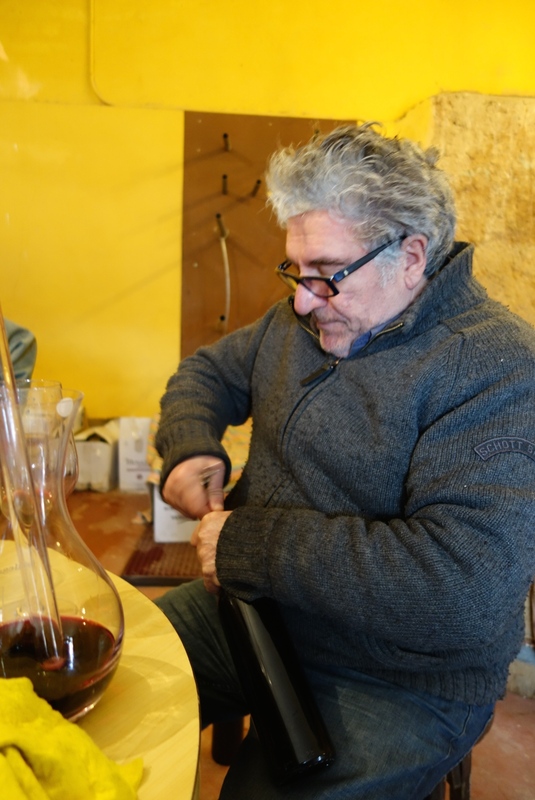 Delgado told us that the most important thing he can do as a winemaker is to stay out of the way of what the earth, the grapes and the climate are doing. Delgado seemed thrilled when I was able to muster in Spanish, “Your wine is very good!” There was a long, very profound reply that I wish I could have understood, but it was time to leave for the next winery, and Ismael was already directing us back toward the van. Again from out of nowhere, Delgado whipped out a bottle of unlabeled, clear liquid and poured us what seemed meant to be “one for the road.” It was a small shot of homemade grappa, known in Spain as orujo. It burned going down, but it kept us oh-so nice and warm until we reached our next stop. 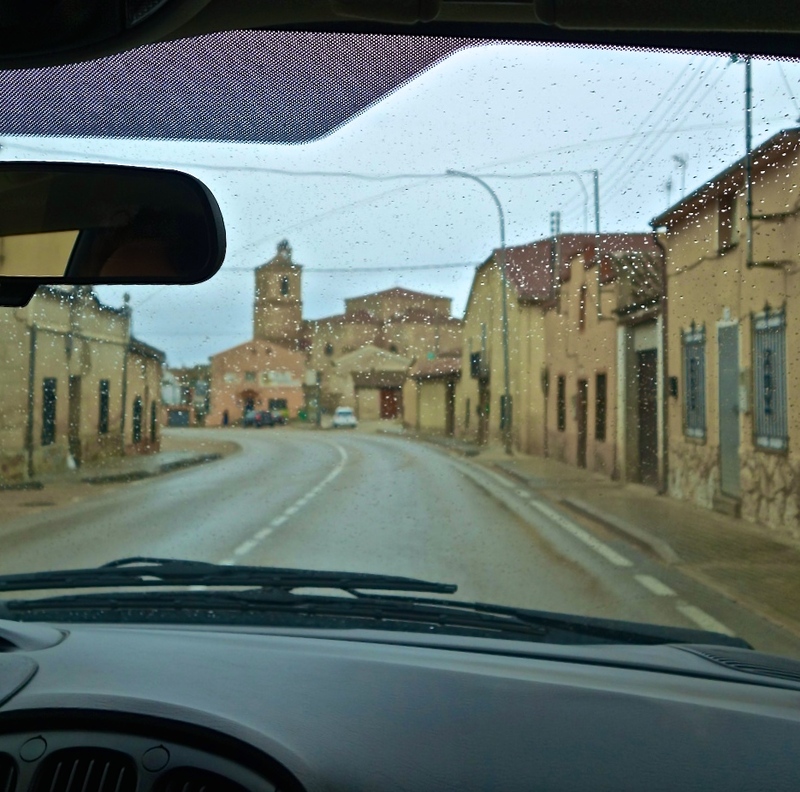 A short drive to the town of Pesquera de Duero, and we were suddenly at the opposite end of the winemaking spectrum. 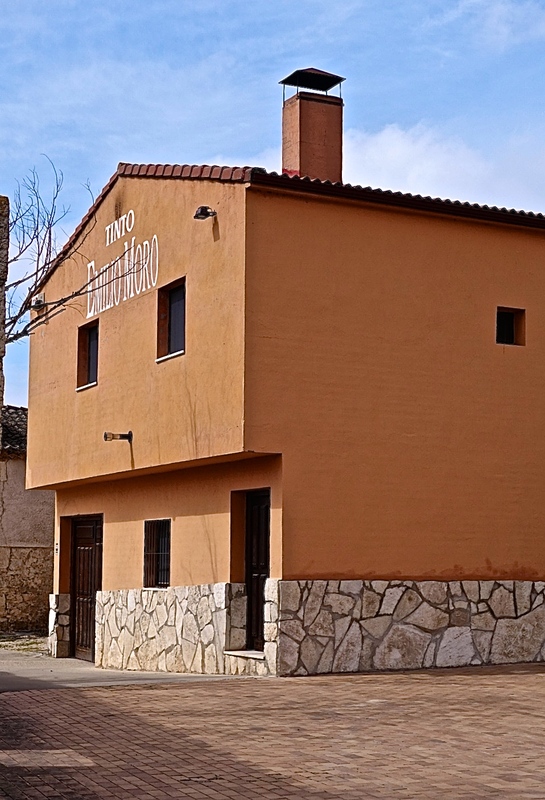 We pulled into the entrance of Bodegas Emilio Moro, one of the largest and best-known wineries of the Ribera del Duero. 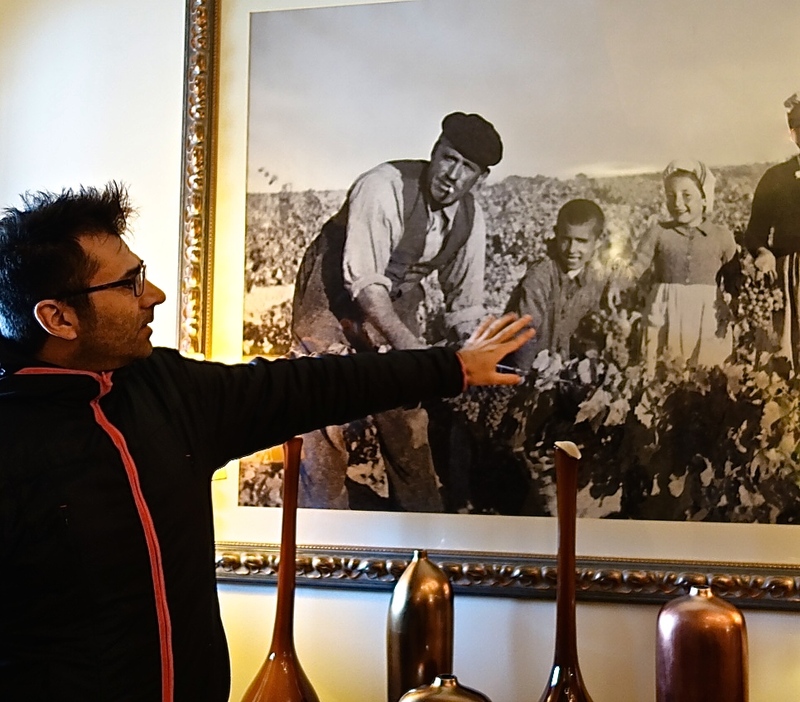 Its history spans three generations of family winemakers, who started long ago with their own small cave in the region. 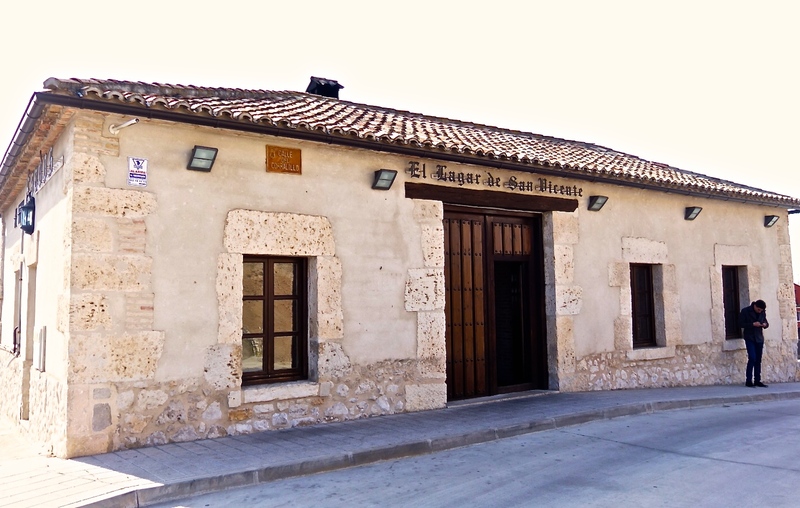 Today the winery is run by Jose and Javier Moro, the sons of Emilio. 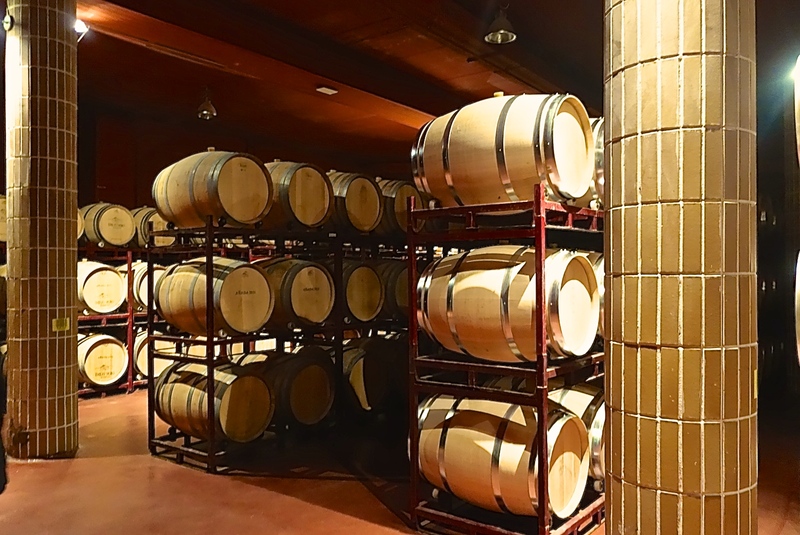 Part of the family has branched off into a new winemaking venture, Bodegas Cepa 21, whose strikingly modern facilities are just down the road in Castillo de Duero. 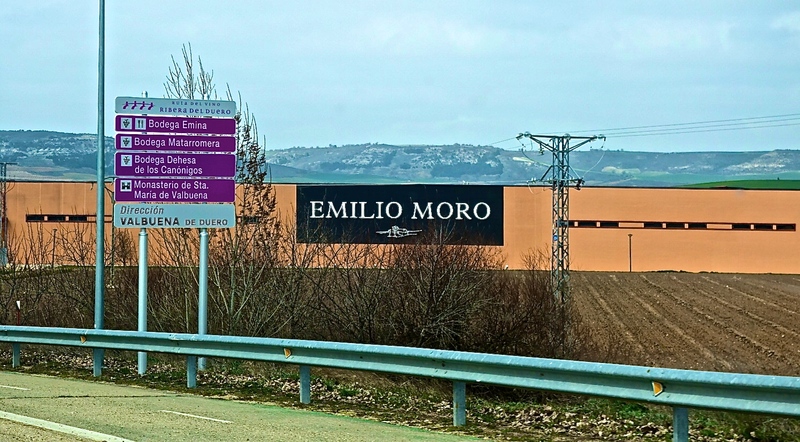 The award-winning wines of Emilio Moro are distributed worldwide, and many of their labels are easily found here in the U.S. Their most popular wine is the modestly priced Finca Resalso, with an annual production of 700,000 bottles. 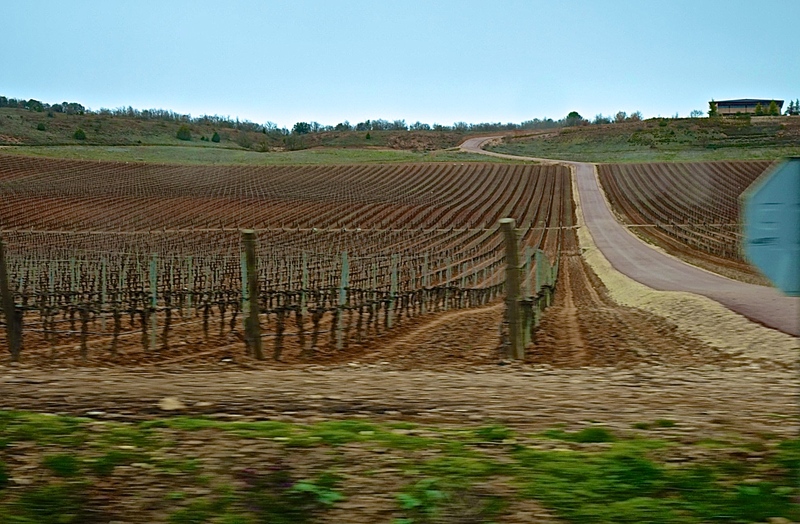 Their 200 hectares are planted with a clone developed from their earliest vines. A guide from Emilio Moro showed us around the pristine facilities. 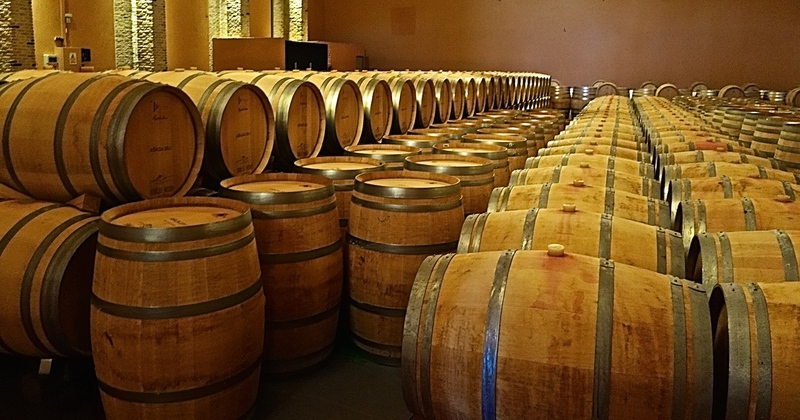 Unlike most traditional wineries in the region, at Emilio Moro fermentation takes places in stainless steel tanks, after which wines are aged in French and American oak. 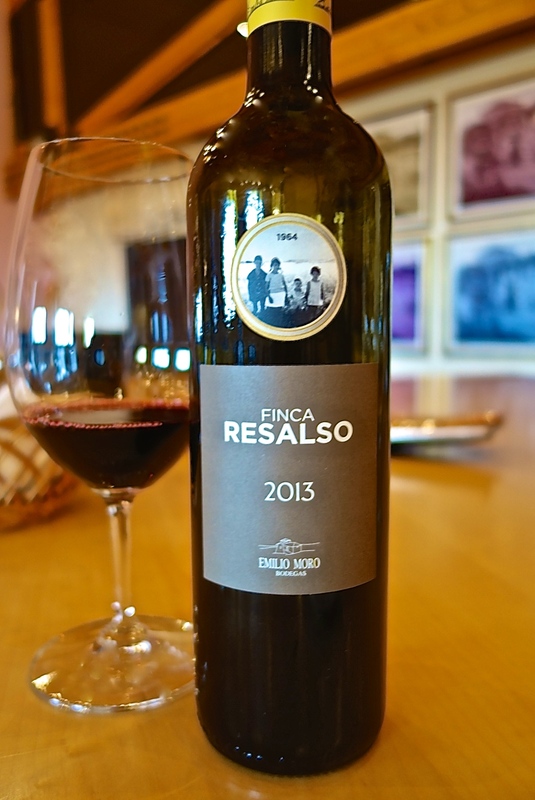 After the tour, we took a seat in the tasting room and started by sampling the 2013 Finca Resalso, a reliably enjoyable wine that kind be found in the U.S. at a very reasonable price. Next we tried a 2011 Tinto Emilio Moro: dark berries and vanilla, full-bodied and well-balanced, with an extended finish, a prime example of a well-made Ribera wine. (An interesting note: Emilio Moro is the first in the region and one of the first wineries in the world to incorporate braille on its labels). 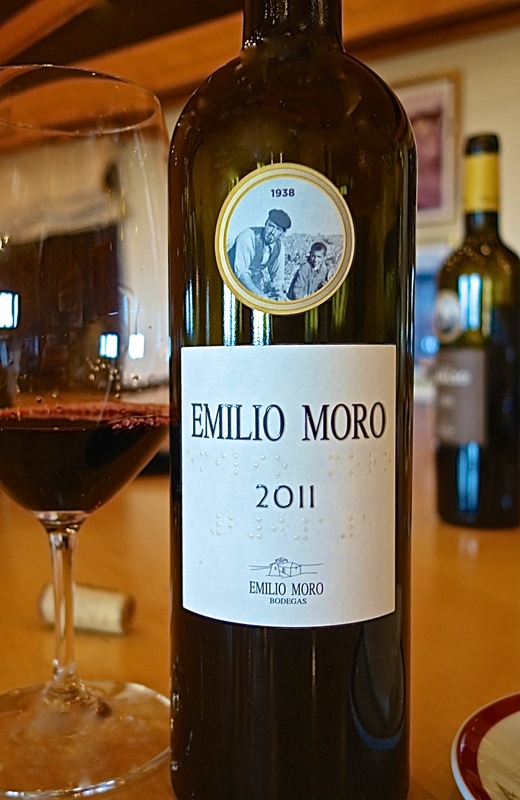 I actually discovered my favorite Emilio Moro wine a few days earlier at Casa Gonzalez, a wine bar and deli in Madrid. 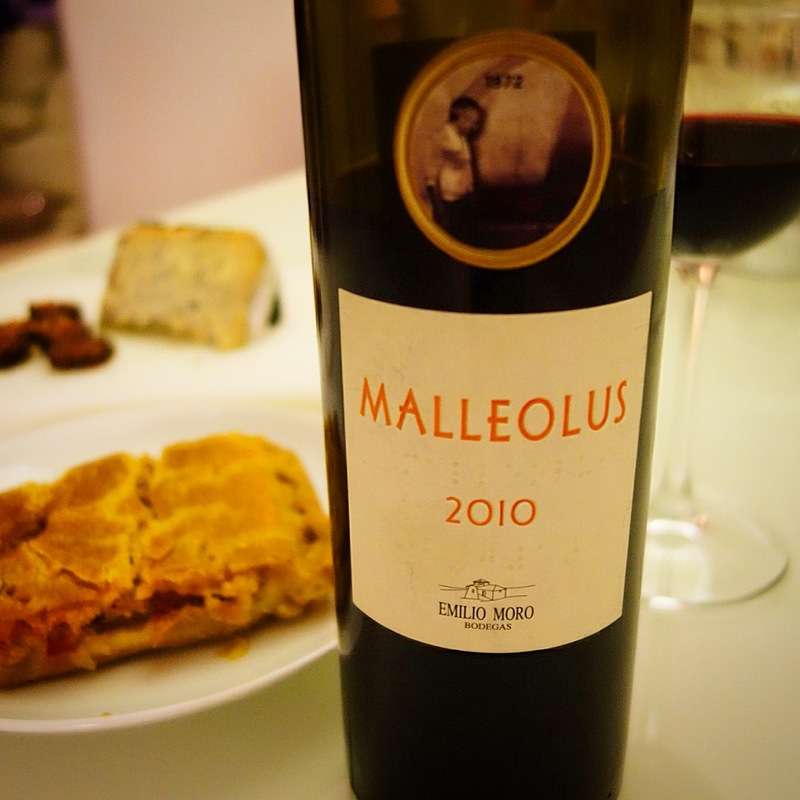 It was a 2010 Malleolus, the less expensive variation of the winery’s pricier top tier vineyard designated wines, Malleolus de Valderramiro and Malleolus de Sancho Martin. Wine is an art, if you know how to listen it speaks to you, telling you when it needs racking and when it needs to rest. It is like a living being that you have to understand, look after and care for. I think he and Justo Delgado are of the same mind. For them, wine is a good friend, maybe even a soulmate. All the better for those of us who drink the fruit of their efforts. 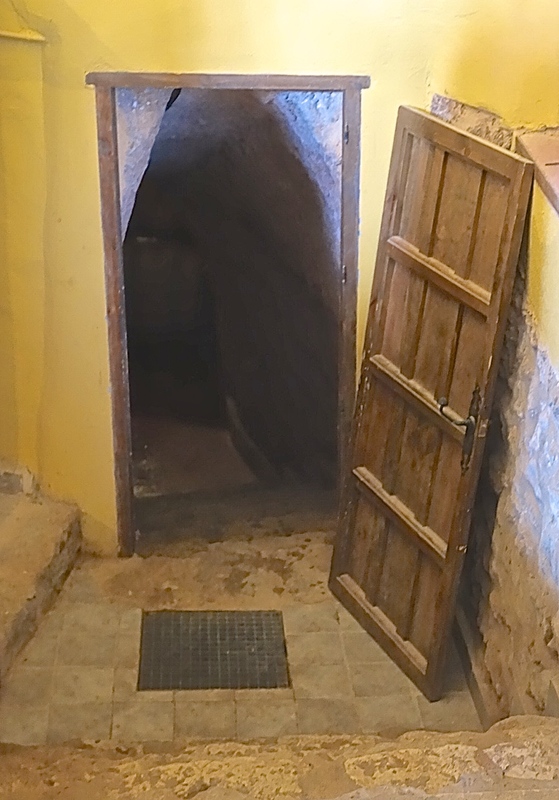 We hopped back into the van and returned to the town of Penafiel and our lunch destination, El Lagar de San Vicente, The old building once contained a wine press, and we ate in the building’s basement, which was once a wine cellar. Ismael had already arranged our menu, which included the regional specialty, lechazo asado, or roast suckling lamb, prepared in a traditional wood-burning oven, and so tender that some restaurants in the region will cut it with the side of a plate just for show. Here, they presented the entire leg for inspection, then whisked it away to be cut and plated. 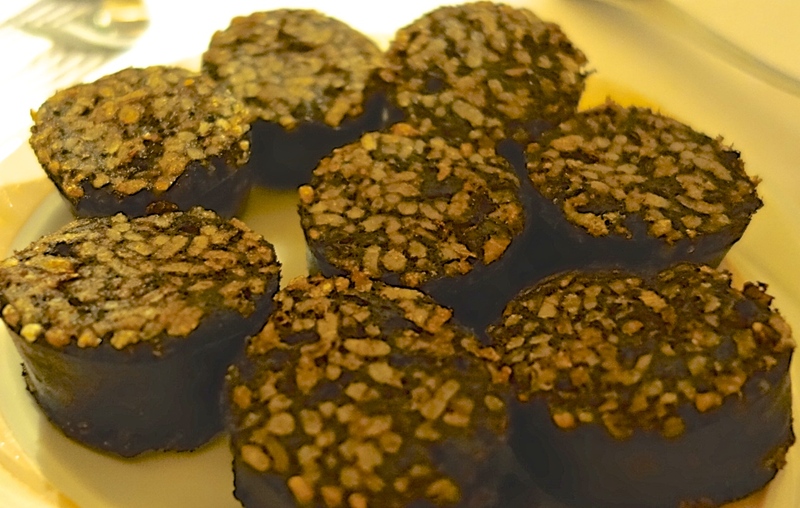 We also sampled plates of morcilla con arroz (blood sausage), and Spanish chorizo. 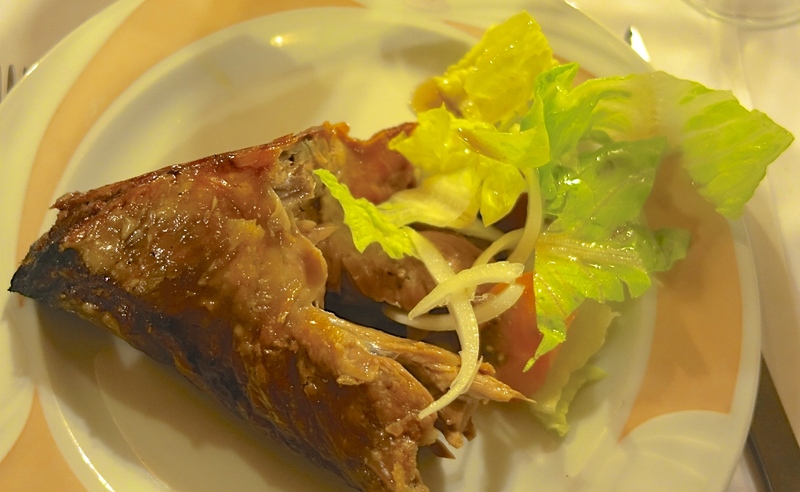 Valladolid province is known for its excellent bread. 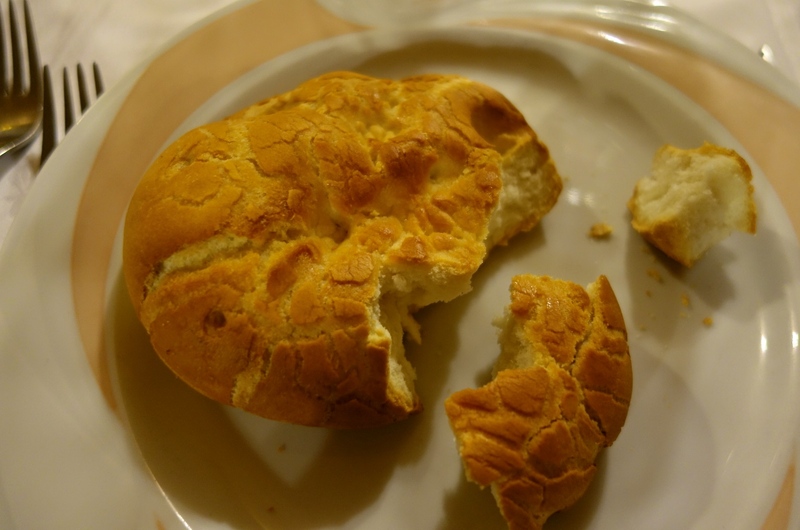 The small rounds at El Lagar had a wonderful texture, like fluffy biscuits with a crisp crust. After all this excellent food and wine, it was time to digest our trip, both figuratively and literally, with a nice nap all the way back to Madrid.